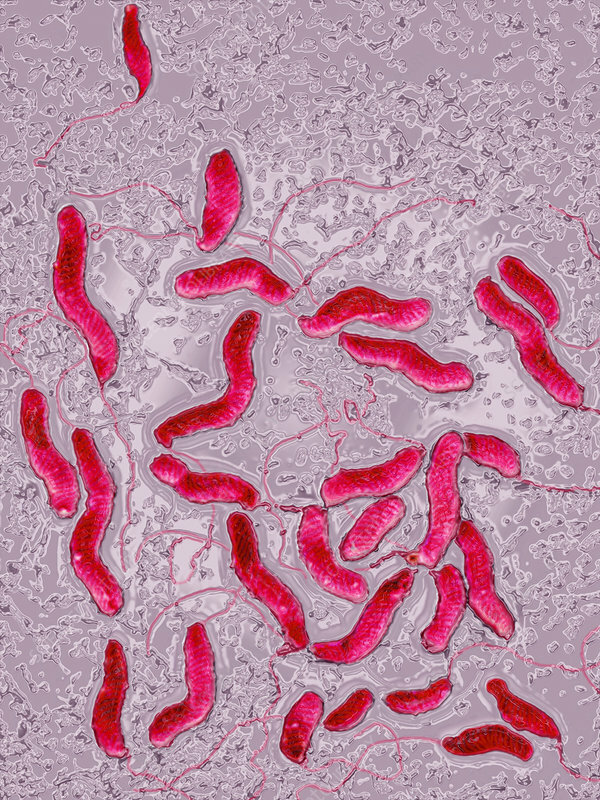 Colorized light micrograph showing Helicobacter pylori, a bacteria that infects the stomach lining. Helicobacter pylori also causes several diseases: chronic gastritis, atrophic gastritis, hypochlorydria, achlorhydria, intestinal metaplasia, gastric cancer, adenocarcinoma, gastric lymphoma malt. Image colorization and HDRI treatments on microscopy views.